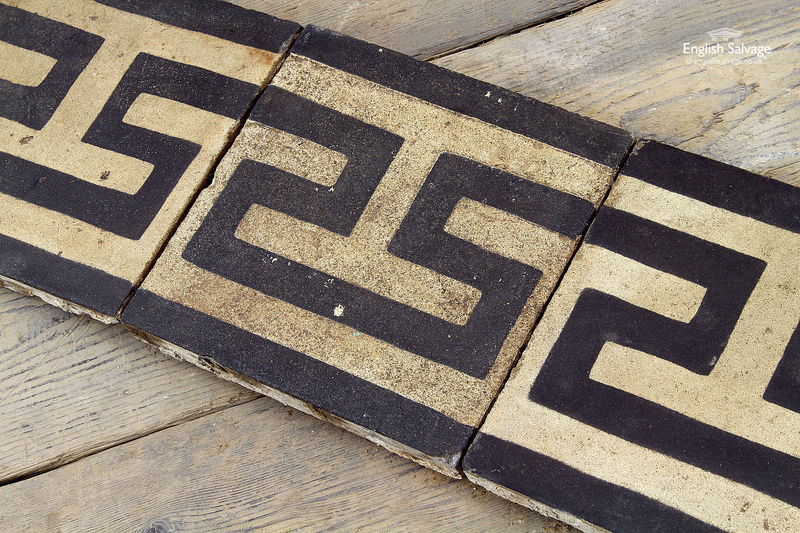 Lovely cement tiles with a black Greek key style design on a white / off-white border. They clean up well with lovely patina. 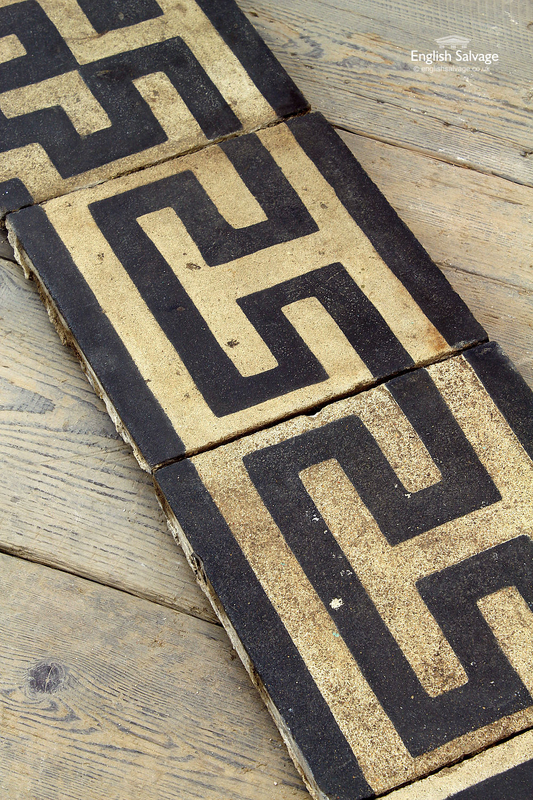 £137.50 per square metre inc VAT (25 tiles). 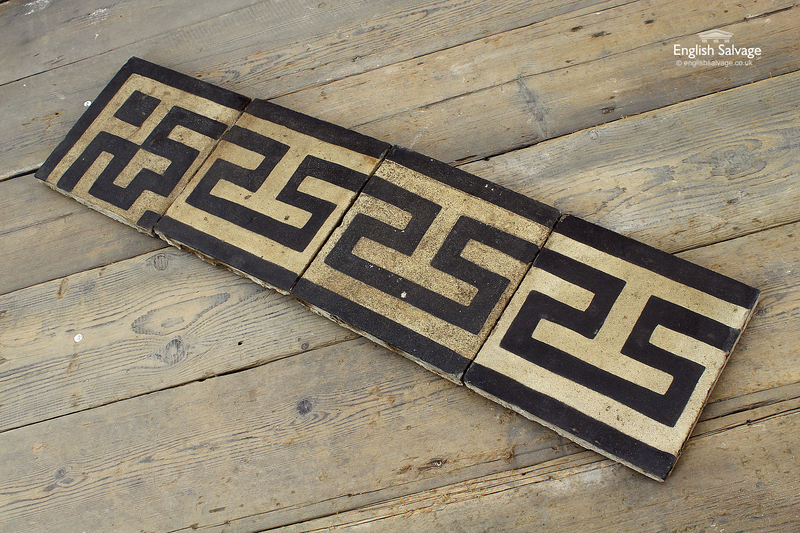 The current total of 211 includes 3 corner tiles. These border tiles would work well with the black and white tiles available here. Loc: row 3 pallet b.